Knit in all 21 colors of soft and springy Woolstok by Blue Sky Fibers! 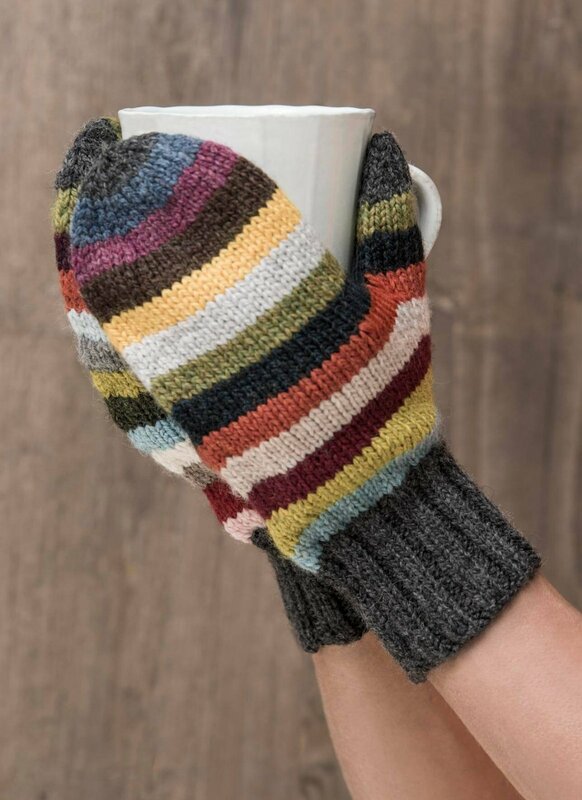 This fun and colorful mitt pattern is offered in both a short cuff and a long cuff version. You will want to wear them for both warmth and style!